"Handmade paper items, jewelry, clothing, home decor, etc. Cottage foods from Africa and Asia 'Build a Military Care Package'. Drawings every 30 min." 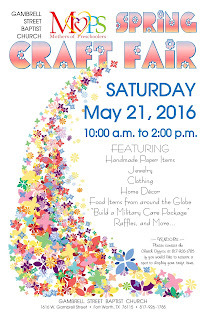 "Tolar Baptist Church is hosting their first ever craft fair! 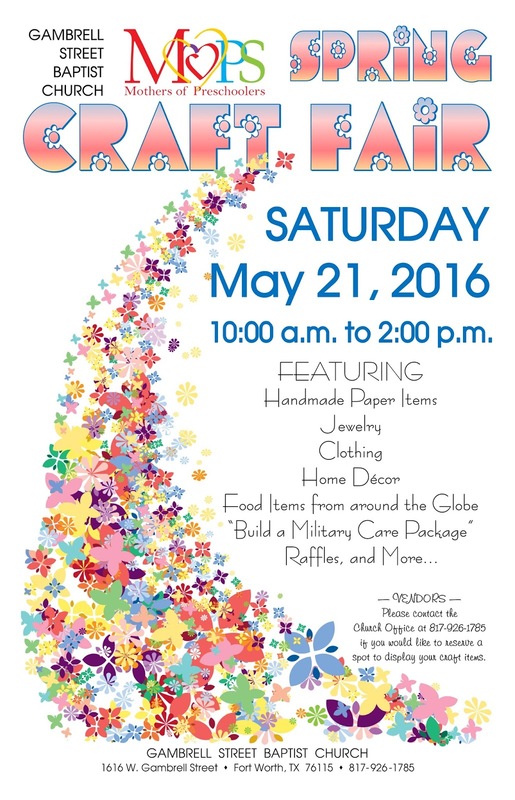 The craft fair will be benefiting Pastor Dave and Tina Samples as Tina prepares for her upcoming heart transplant! 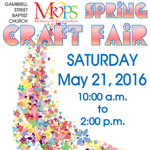 Booth after booth of great Spring and Summer finds...gifts, arts/crafts, food, and more!!! Come out and support small, local business...something for everyone in the family!!! Over 50 vendors, bake sale, and concession stand!"